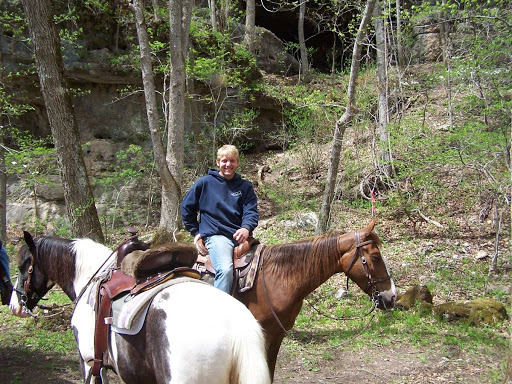 There has been a lot of work done at the Big Piney Trail Camp by Show-Me Missouri BCH. They put in gravel and a mounting block. The winter storms might have caused a lot of damage to the trail, especially where it runs in low lying creek areas. 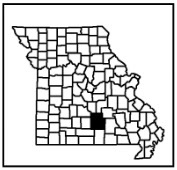 Big Piney Trail Camp: From Rolla, take Hwy 63 south to Hwy 32, turn west. Continue to Hwy N, which branches to the right. Follow Hwy N to Hwy AF, turn left. Hwy AF turns into Slabtown Road and passes close to a farmhouse, almost making the road look like a driveway. Continue driving until you see the sign for Big Piney Trail Camp, turn left. 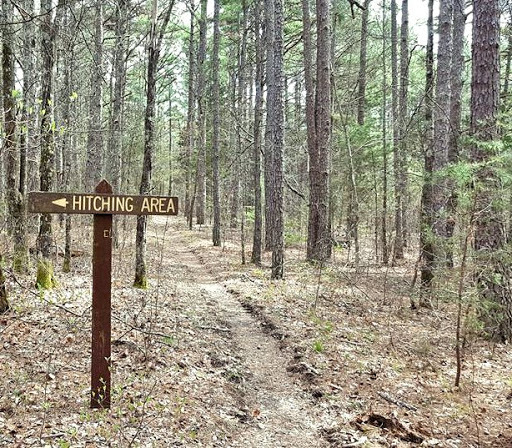 Yes, at Big Piney Trail Camp or primitive dispersed camping along the trail. 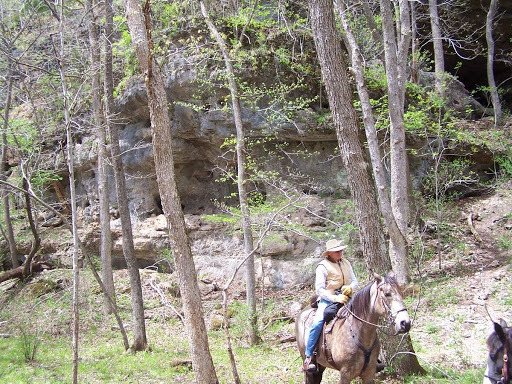 This trail has something for everyone who enjoys an adventure. There is a sign-up sheet at the trailhead. Please use it, both for safety reasons and so they can see that we are using the trail. 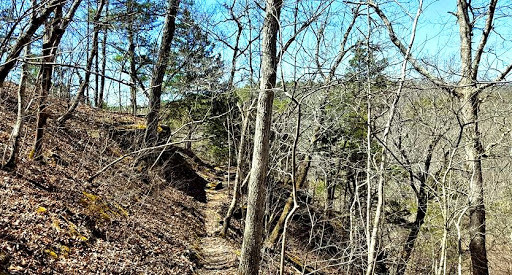 There are a few water crossings, steep and rocky hills to climb, and the trail runs along a high bluff. Don’t cross Little or Big Paddy Creeks during high water. There is a connector trail toward the middle of the loop if you want to shorten your ride. The trail corridor is well-defined and marked with white diamonds. 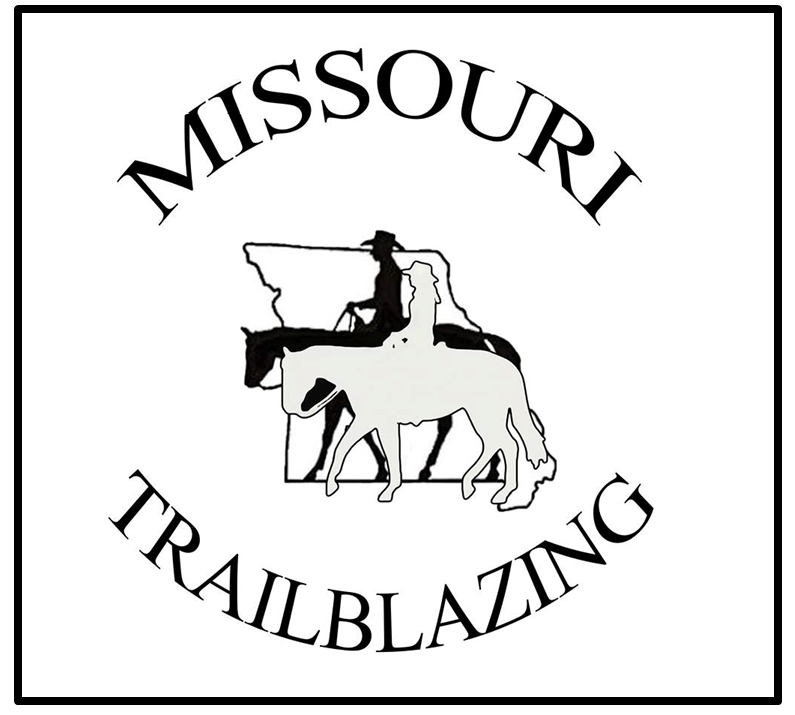 Two chapters of Show Me BCH, South Central and Brownfield, have recently done some work on this trail, clearing and clipping the whole trail system and adding signs. They’ve also done work on Big Piney Trail Camp, adding gravel and a mounting block. Mountain bike riding is not allowed. These pictures are taken at different times when I’ve been here. 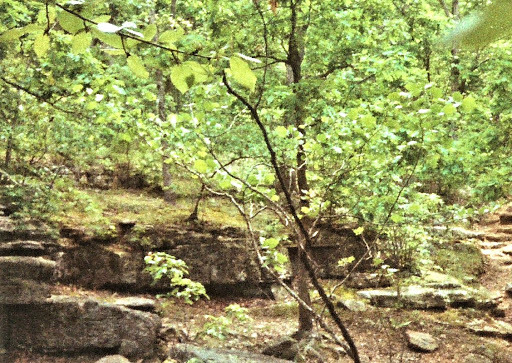 Some are pretty old and scanned from an old photo (like the “toilet seat” tree growth) and some are more recent, (like the indian head rock outcropping). Because of this, some of these photo’s quality aren’t as good as others. I hope to replace the older ones with better digital photos as soon as I can. This is from my 3rd ride here. 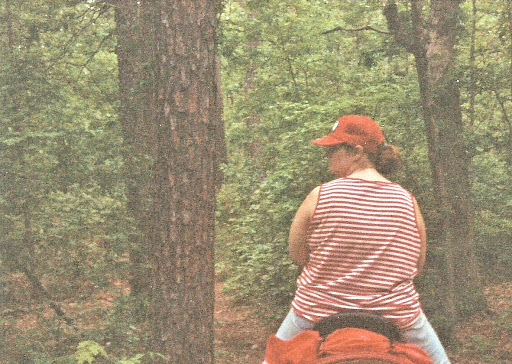 Hank and I camped here shortly after we got married so this was probably in 1997. Just leaving a pine stand. 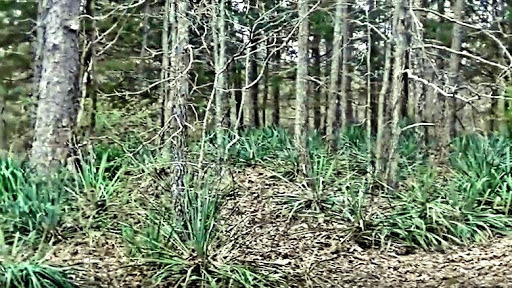 The CCC’s planted a lot of pine stands in these National Forests. Yucca patch on the trail near where the northern loop of the trail intersects with Paddy Creek Road. There was probably a house here one time in the past. 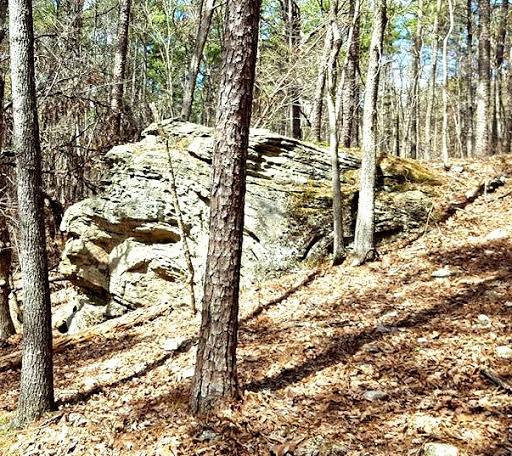 The Indian head rock. Can you see it? 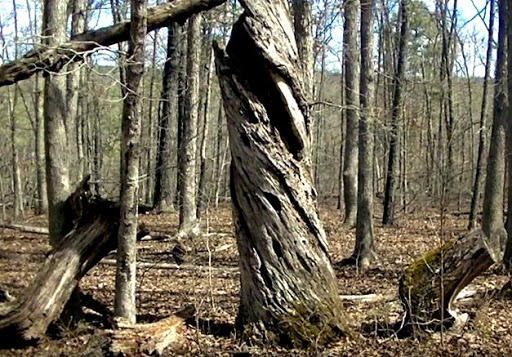 I call this the tornado tree because it looks like a tornado twisted it. 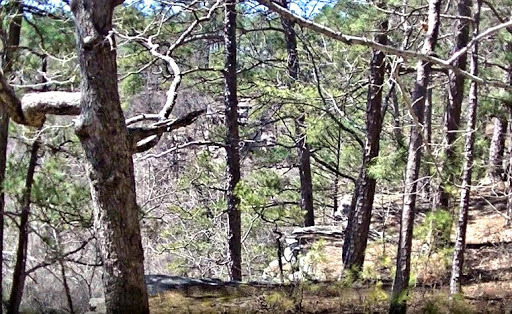 Two pictures of cave just off the cut thru trail in the middle. Pictures courtesy of Sue Baldwin McDaniel. 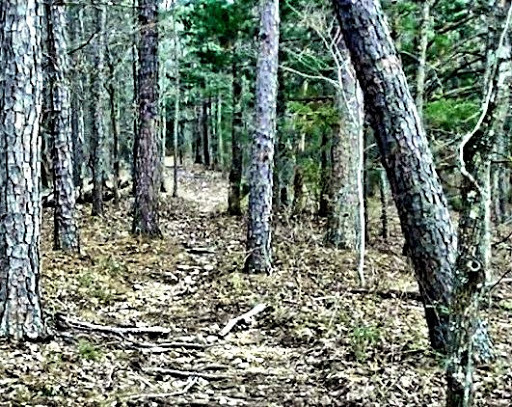 A trail shot through the pines. Trail comes close to the edge here. 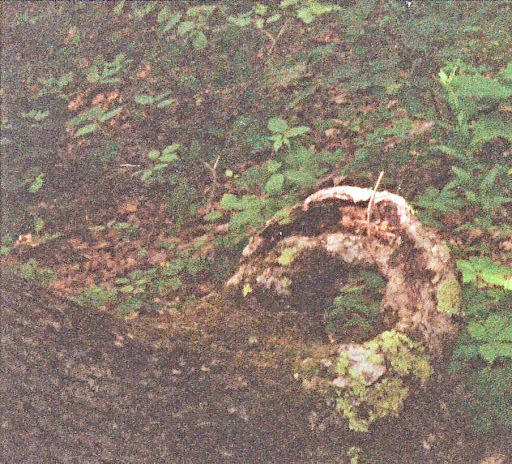 The “toilet seat” tree growth. Almost back to the horse trail camp.